After reviewing the first episode of Niall Ferguson’s new series last Sunday night, and managing to get it out within 15 minutes of the end of the programme, I had a look around online to see what other reactions it had generated. To my amazement Niall Ferguson was actually trending on Twitter. Blimey. Overall the show seemed to get a positive reception, but while there were some very strong positives there were very strong negatives as well. One guy on Twitter was so impressed he offered the opinion that if NF was interested, he might turn homosexual for him. This was just about the most extreme positive view. I have a feeling that most men and probably most women while appreciating a well put together documentary with a strong point forcefully made wouldn’t go so far as to offer physical gratification to its author. But there were some pretty hostile receptions too. Some of these seem to be politically motivated. Ferguson is openly right wing and makes no secret of a free market oriented agenda. Now, my personal political views tend to the left so I can sympathise with people who disagree with Ferguson on these grounds. But to me, the judgment you should make of a programme like this isn’t how close is it to what I would like to make, but how close is it to what the creator intended. I have a feeling that Ferguson was congratulating himself on a job well done when he reviewed the final edit. In fact congratulating himself is something that it is very easy to imagine Ferguson doing. He does seem tremendously pleased with himself. Arrogance came up as another criticism. Well once again, it is nice when you like the person who has done something you like. But it is a piece of work not a lonely heart ad. You should judge programme on its merits not its author’s merits. But there is one line of criticism that is valid, and that is that the history is wrong. This is much more serious and some people were unimpressed by the content. The general critique was that he had selected the facts that supported his argument and left out important details that cast the whole story in a different light. The best criticism of this nature I came across was this blog post, which if it was written from scratch in direct response to the programme is amazing as it appeared less than twenty four hours after the broadcast. Here is the full article here. 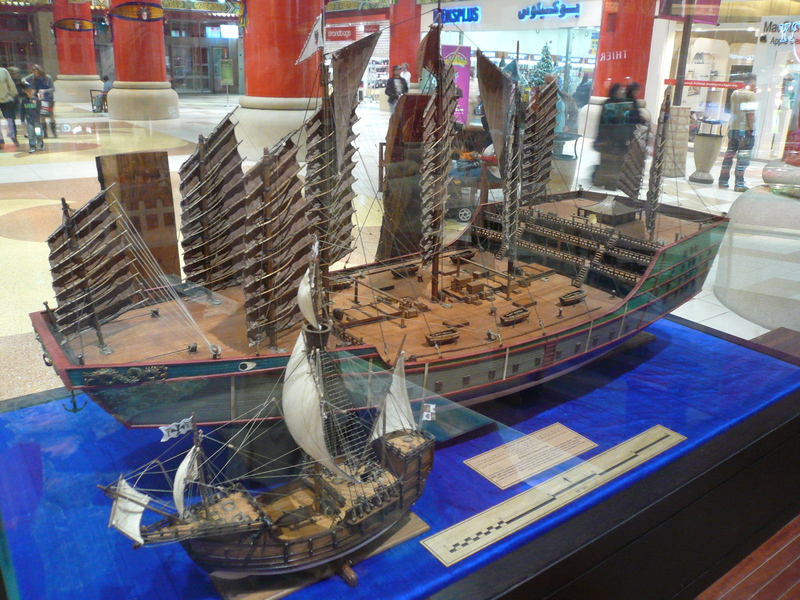 It is well worth reading the whole thing, but to very quickly paraphrase British relations with China were to at least some extent based on coercion rather than competition and the Opium War was basically a way of forcing the Chinese to participate in a trading relationship that they knew very well was harmful to their economy. I don’t think this necessarily undermines Ferguson’s argument, but it does show that the real world is a bit more complex than you can easily get into a 1 hour television show.